CLOSEOUTS. 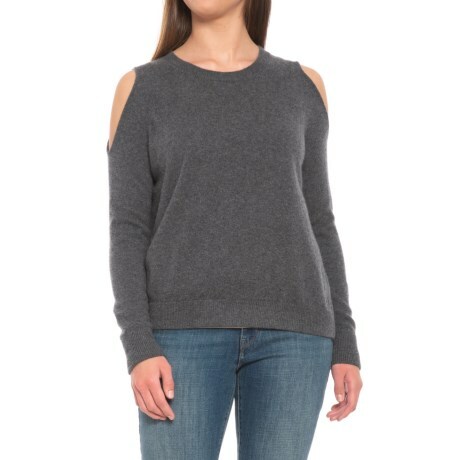 Welcome cooler weather in Minnie Roseand#39;s cold-shoulder sweater, crafted from luxuriously soft cashmere and detailed with shoulder cutouts for a pop of sassy style. Available Colors: CHARCOAL HEATHER GREY. Sizes: XS, S, M, L, XL.